Arizona Glass & Door Connection takes great pride in doing business with you. To ensure everyone enjoys doing business with us, We have taken the time to list our waivers and disclaimers on the website to ensure you(customer) are always in the know. We understand how frustrating it can be when your told 1 thing 1 week and another the next. Give us a call today at (602) 375-2000 to make sure you always get the quality service you deserve. Any changes/cancellations made after Job/Service Order approval, will be subject to all incurred charges ($120.00 min. ), including any and all costs for fabrication, restocking fees, non-returnable items/materials, surcharges, any and all labor expenses towards the Job/Service Order. A.) Service and/or Material(s)/Part(s)/Equipment can not be performed and/or ordered without Customer's written approval and cleared deposit payment. B.) A deposit (typically 50% of total invoice amount) is required for most and/or all orders on proposed Material(s)/Part(s)/Equipment and/or service(s) rendered by Arizona Glass & Door Connection. C.) Cancelled order(s) for any reason, from the customer and/or any person or 3rd parties representing the customer; after the customer and/or any person or 3rd parties representing the customer, has approved to proceed in foregoing with Service and/or Material(s)/Part(s)/Equipment by Arizona Glass & Door Connection, and/or payment of deposit(s) has been made, and/or Service/Material(s)/Part(s)/Equipment order(s) have been ordered, may NOT be entitled to refunds of any kind for all deposit(s) made by customer and/or any person or 3rd parties representing the customer. D.) Customer may also be subject to additional restocking, any labor and/or admin fees after cancellation. E.) Deposits paid with credit or debit card by the Customer and/or 3rd parties representing the customer and/or job-site, will be charged the "Authorized Only" amount equal to the total proposed quoted amount or the “Captured” amount equal to 50% of the total proposed quoted amount. "Authorized Only" processing authorizes Arizona Glass & Door Connection to reserve the full amount of the total approved amount. "Authorized Only" is valid for 15 business days. Therefore, if the service has not yet been rendered complete & "Authorized Only" expires after the 15th business day, Arizona Glass & Door Connection will have the right to process a new "Authorized Only" payment amount equal to the total approved amount. Arizona Glass & Door Connection does not store Credit Card data from our customers, therefore, if required, it is the customer's responsibility to provide the credit or debit card information again. After the service has been completed, Arizona Glass & Door Connection will convert the "Authorized Only" amount to a "Capture" amount for full payment totaling the approved invoice amount. If additional costs are required to complete the service & approved by the customer, the "Authorized Only" and/or "Capture" amount will be adjusted accordingly. “Capture Payment” processing authorizes Arizona Glass & Door Connection to collect the full or deposit of the total approved amount. Anytime a “Capture Payment” has been processed will be followed with a deposit, service or retention invoice for the Captured amount. 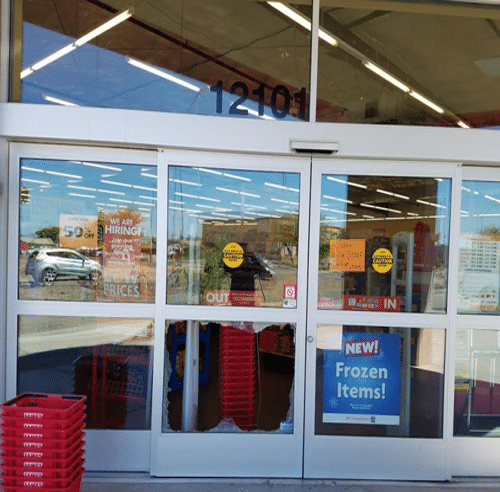 It is required that all residential & commercial service(s) provided by Arizona Glass & Door Connection, that relate to an Insurance claim are paid by the customer upon completion of service. This includes any deposits required to proceed with the service. Customer's out of pocket expenses related to the Insurance claim is typically reimbursed or applied towards their deductible. The exception to our policy only applies if the service amount is over $2000.00 and/or the Insurance Company has pre-paid or agreed to pay Arizona Glass & Door Connection directly for services rendered. Any portion not paid, by the Insurance Company will be the sole responsibility of the Customer/Insured upon completion of service(s). Arizona Glass & Door Connection accepts Cash, Company Checks, Debit & Credit Card payments. Due to the processing charges, all credit & debit card charges are subject to a 4% surcharge of the total invoice amount. Arizona Glass & Door Connection has a limited time warranty on all products (Specified by the manufacture) and a lifetime warranty on workmanship for services rendered by Arizona Glass & Door Connection. All product warranties apply when purchased through Arizona Glass & Door Connection. Customer provided products or products reused to render service will not be subject to a warranty of any kind. Product warranty only applies if the product(s) are defective and/or subject to the product’s manufacturer warranty policy. All labor to service the defective product is subject to applicable labor charges. Workmanship on services rendered has a lifetime warranty. Any product(s) deemed responsible for the workmanship may not be subject to a warranty. Warranty service calls will not be subject to a service fee and/or applicable charges unless: a.) There is no evidence of a warranty on the product(s) used or workmanship performed at the time service was rendered. b.) The product(s) were existing or supplied by the customer at the time service was rendered. c.) The product(s) or workmanship was altered, damaged, serviced or tampered by someone other than and/or not authorized by Arizona Glass & Door Connection. e.) The product(s) or workmanship is subject to the normal wear & tear after the service was rendered. d.) Payment for the product(s) and/or workmanship on the service rendered was not satisfied. All quotes/estimates given over the phone/email/fax/via photo may be subject to changes, after a representative from Arizona Glass & Door Connection has surveyed the job for fabrication and/or service requested by the customer and/or 3rd parties representing the customer. Any and all changes will be presented to customer for additional approval prior to rendering service. At no point is Arizona Glass & Door Connection obligated to abide by any quotes/estimates giving over the phone/email/fax and has the right of refusal.